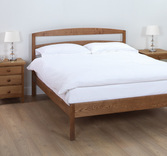 Quality modern single Beds for sale. 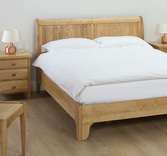 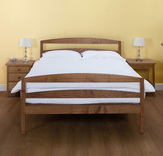 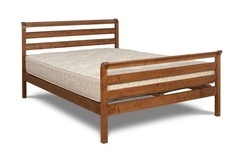 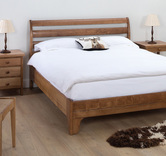 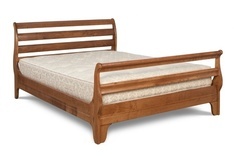 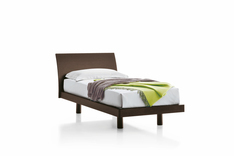 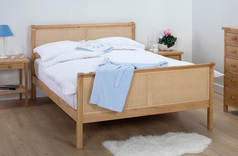 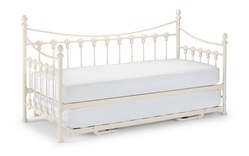 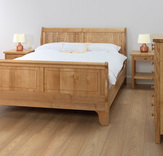 At Robinsons Beds we have a huge range of single beds on offer. 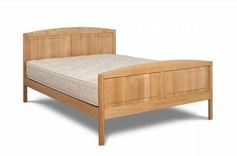 Our range of single beds come in a variety of styles to suit all needs and tastes from the classic single divan to the funky Metro single bed to the incredibly useful Stowaway Bed with a secondary single bed stored in the base of this versatile single divan. 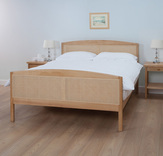 If it's storage space you need then our quality ottoman Divans will be just the ticket with underbed storage that is easily accessed by lifting the mattress (achieved thanks to the ottoman sprung system) ensuring that every corner of storage space is easily reached. 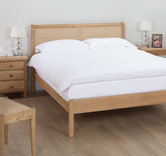 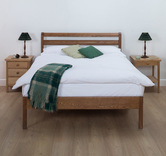 All of our single beds are handmade in Britain in our Glasgow factory so are guaranteed to meet with rigorous quality tests and will only leave our factory for delivery when we are 100% confident of the quality of the build – it's this attention to detail that has built Robinsons Beds the reputation as one of the UK's premier independent bed manufacturers over the last 40 plus years. 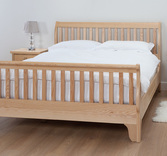 As you would come to expect from a handmade Robinsons Bed, you can customise any of these to your required dimensions to ensure the bed you buy is a perfect it. 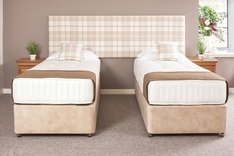 Either order online today, visit our Glasgow bedroom showroom or call us to order today on 0141 632 1384. 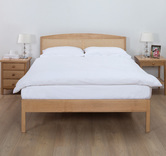 We deliver throughout the UK including London, Glasgow, Edinburgh, Aberdeen, Manchester, Birmingham, the Home Counties, Cheshire and the South West.